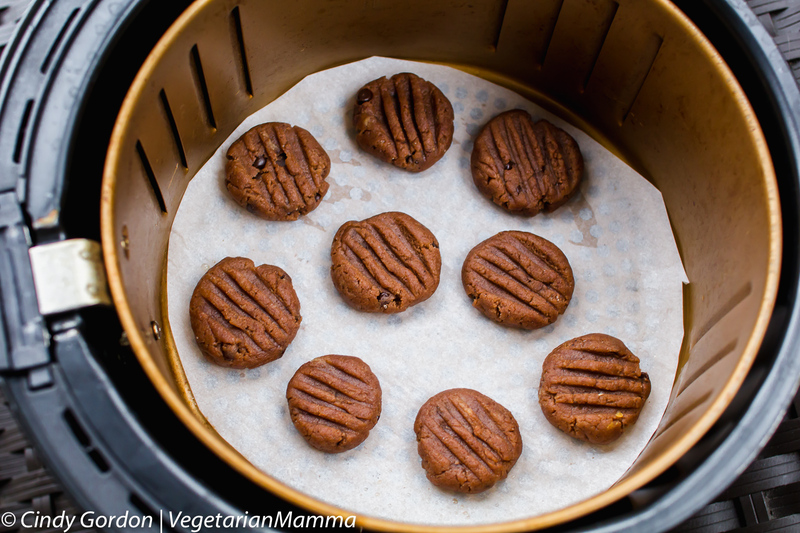 Air Fryer Cookies, who knew you’d be making a cookie air fryer recipe!? 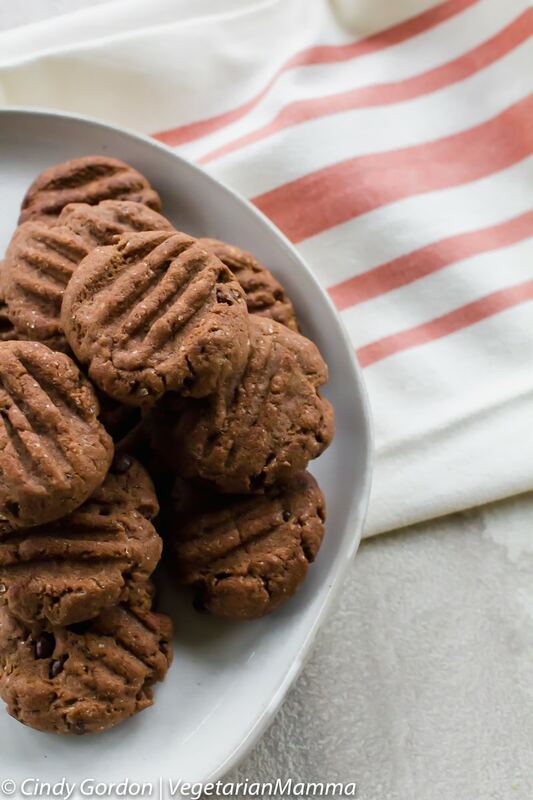 This double chocolate cookies recipe is a win for your entire family! This post is sponsored by Enjoy Life Foods. The opinions are my own. Have you ever been to the state or country fair and seen all the deep fried foods? Deep Fried Twinkles, Deep Fried Oreos? Today we are basically coming up with a deep fried chocolate chip cookie recipe. 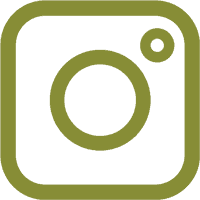 Air Fryers are pretty much an alternative to deep frying and they are quickly gaining in popularity. 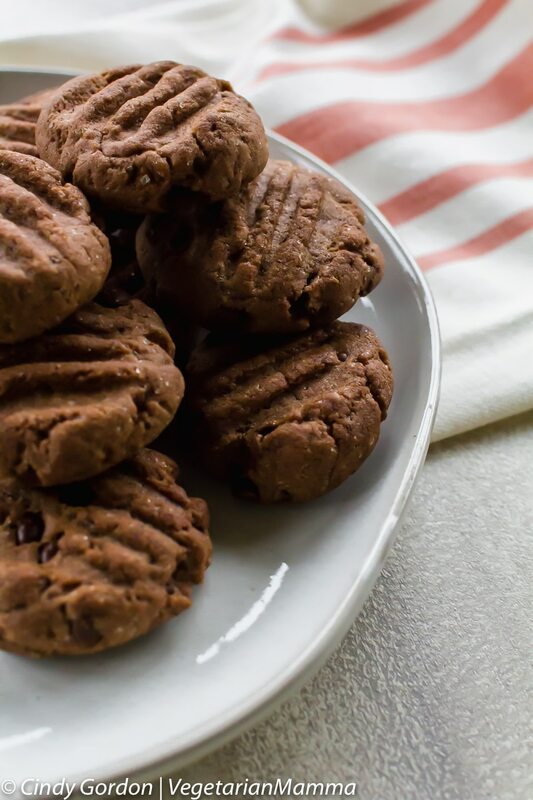 So why bake air fryer cookies? Great question! There are a few reasons. A big reason is that you do not have to heat your large oven. This helps on heating up your kitchen as well! Think about that during those hot summer months! A lot of people travel with their air fryers. This often is true with food allergy families. We often travel with smaller kitchen appliances because we know they are clean and have been cross contaminated with other allergens. It is a safe way to prepare food while traveling. 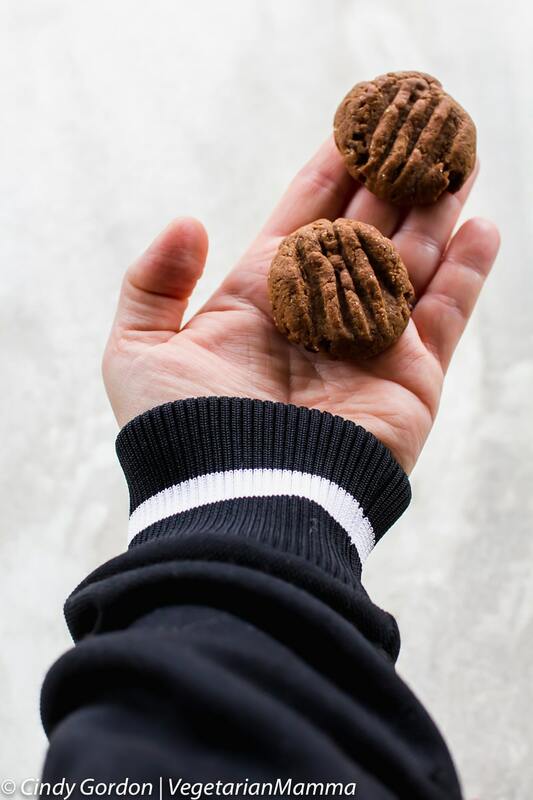 So if you often get a hankering for something sweet, traveling with your oil less fryer and this cookie recipe might be a great fit for you! Baking in an air fryer might take a touch to figure out. 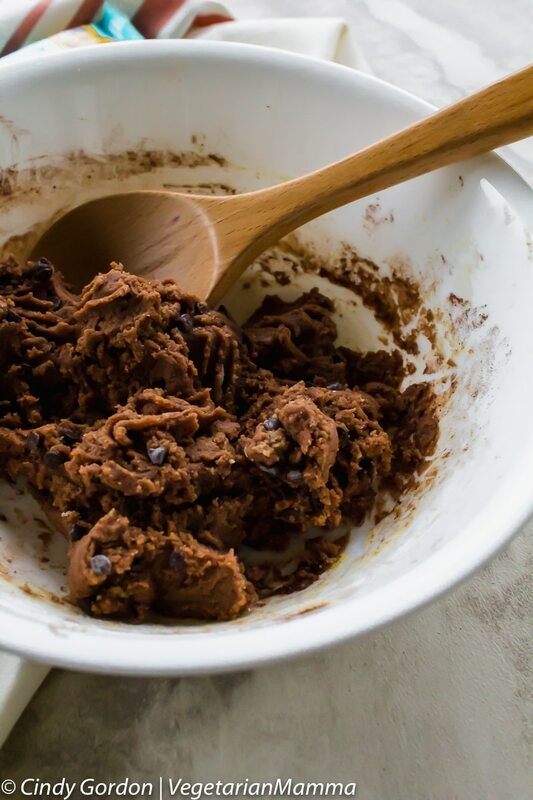 Air fryers do vary slightly, so using your first batch of cookies as a “test run” is a good idea. You might need to adjust the time up or down depending on your fryer! That’s right! I mean each month is always perfect for chocolate but February is extra perfect for chocolate. You know why! I am talking about Valentines! 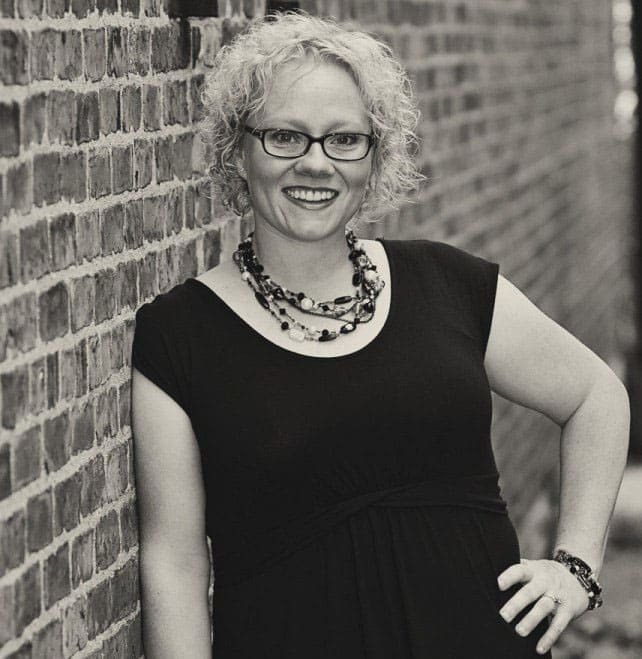 It is literally THE best and THE most popular time to talk about chocolate! 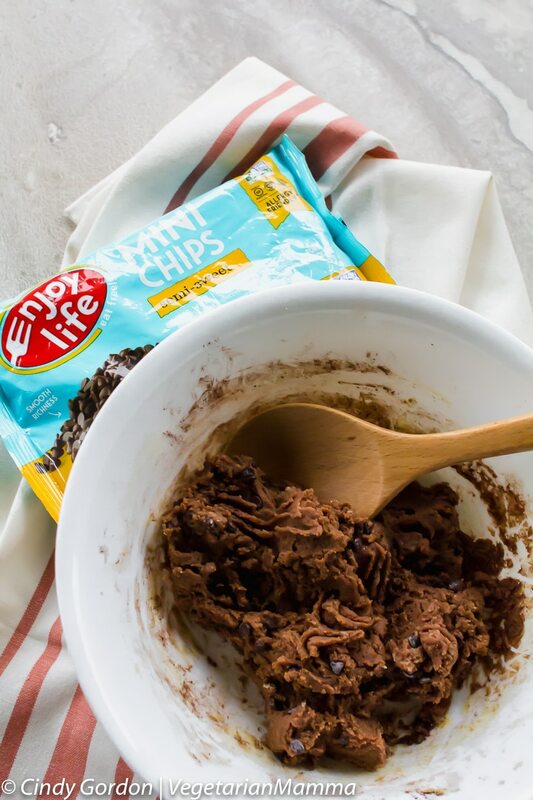 With this recipe, I used Enjoy Life Foods Baking Chocolate. If you are a lover of chocolate you need to check out these Fudgy Chocolate Chunk Brownies! Can’t get better than cookies AND brownies! We have talked about Enjoy Life Foods many times! But let’s review just exactly why I love ELF! So basically these chocolates are just perfect for making a sweet treat for your favorite friend or your loving family member! These cookies are more like double chocolate chip cookies, I mean can you really ever get too much chocolate? So for this recipe we used some specific ingredients. Changing the ingredients, just may change the outcome of your recipe. Please keep that in-mind when considering “adapting” the recipe for ingredients you have at home. We can’t promise you’ll get the same results if you don’t use the same ingredients that we used to create this recipe. We used an all purpose gluten-free flour for this recipe. You can click on the link in the recipe card to see the exact brand that we used. 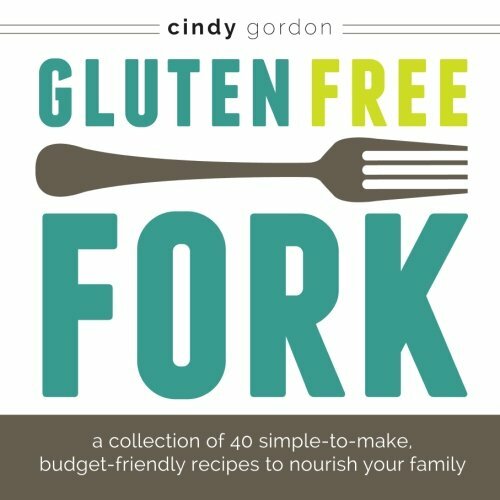 This AP Gluten-Free flour does not contain any gums and we’ve used it many times in previous recipes. With that said, I am unsure if other brands will work as good, but I know that this one works. 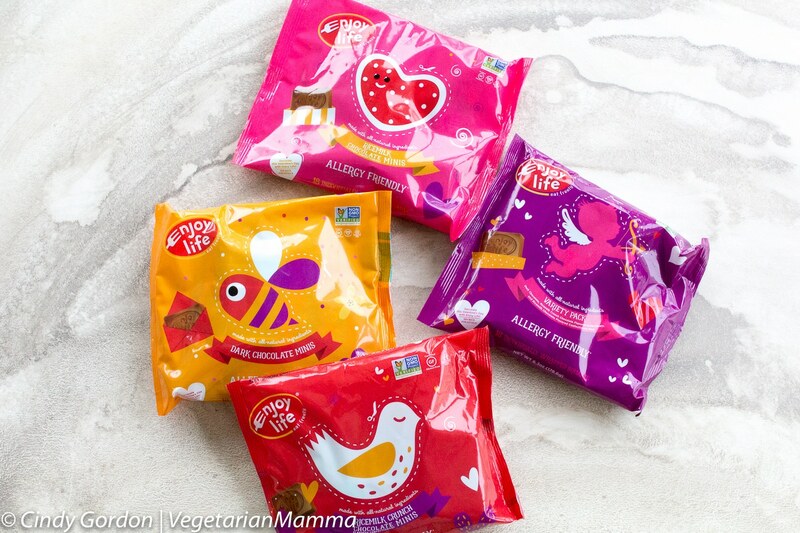 I am not sure if you saw in my social media, but I was sharing a sneak peak of the awesome NEW Valentine’s Day Chocolate Minis! 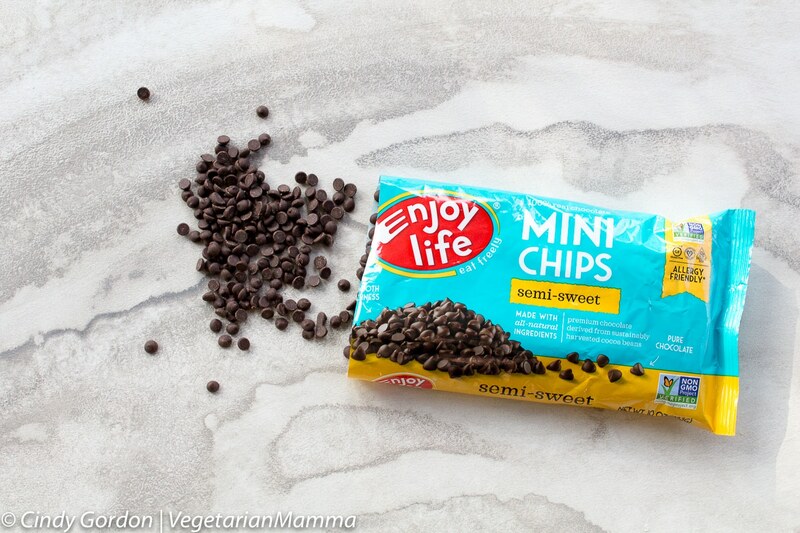 These Enjoy Life Foods chocolate minis are making this debut this Valentines season! 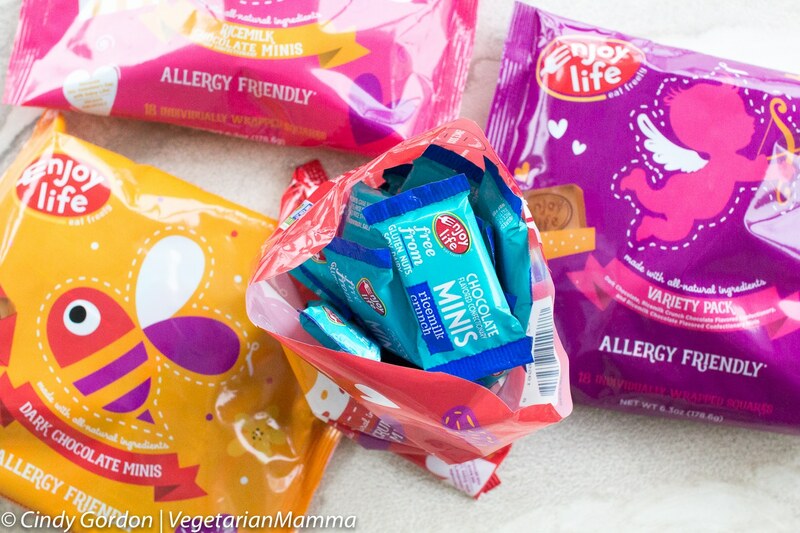 They are available in Dark Chocolate, Ricemilk Chocolate, Ricemilk Crunch, and a variety pack. These are just perfect for so many situations! 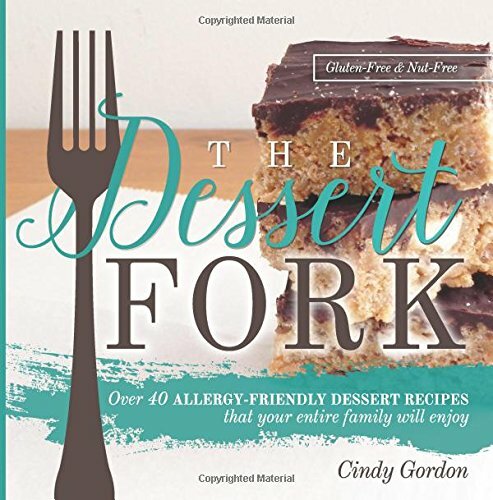 We are currently working on developing several more air fryer dessert recipes! But for now, this is our first one! Mix all dry ingredients together (except chocolate chips) and set aside. Using a fork mash/whisk the milk and butter together. Mix all remaining wet ingredients together, whisk to blend. Combine wet and dry ingredients. Mix to combine well. Add in chocolate chips. Roll into 1 inch balls. 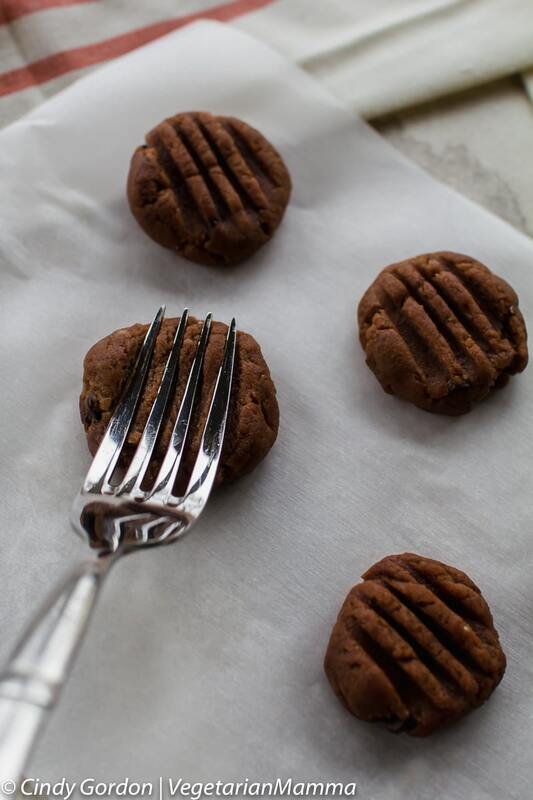 Take a fork and gently press down to flatten the cookies. Place into air fryer and "bake" at 350 for 6-7 minutes. (Or until your desired doneness). These cookies sound amazing! I could eat all of them in one sitting. OH my gosh I have to try this!!! I’m getting the air fryer out THIS WEEK! Certainly a fun idea! 🙂 Hope you enjoy playing with the recipe! 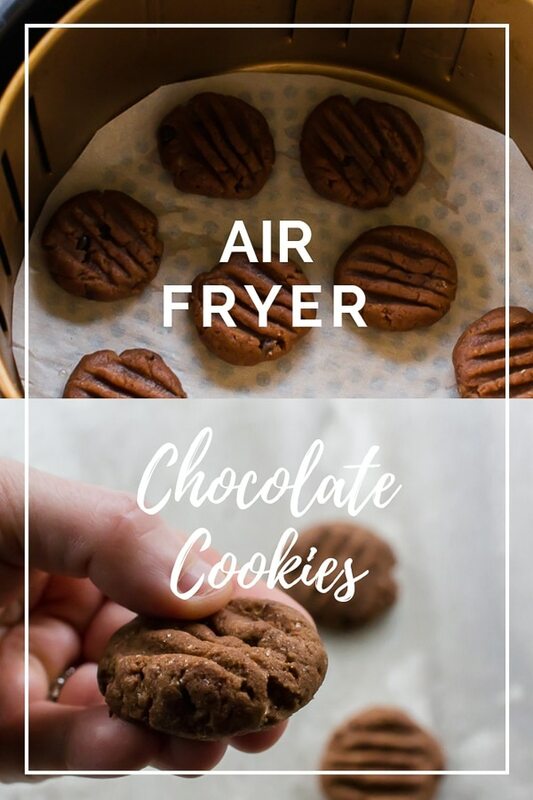 Cookies in the air fryer? What a great idea – definitely trying that out. I can’t believe that you made these in the air fryer! Genius! Will totally be trying this soon! Enjoy! 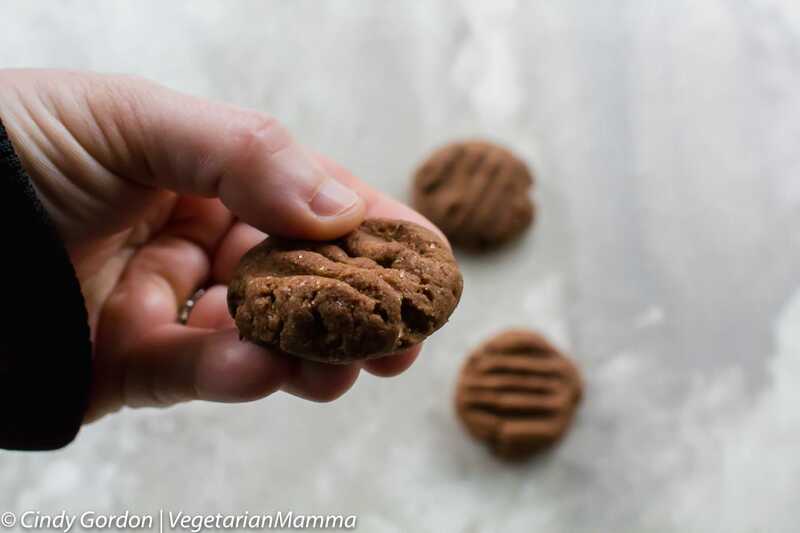 If you love soft and chewy gluten free cookies this is for you! They look delicious. I can’t wait to try this! Cookies in the air fryer? Who knew? 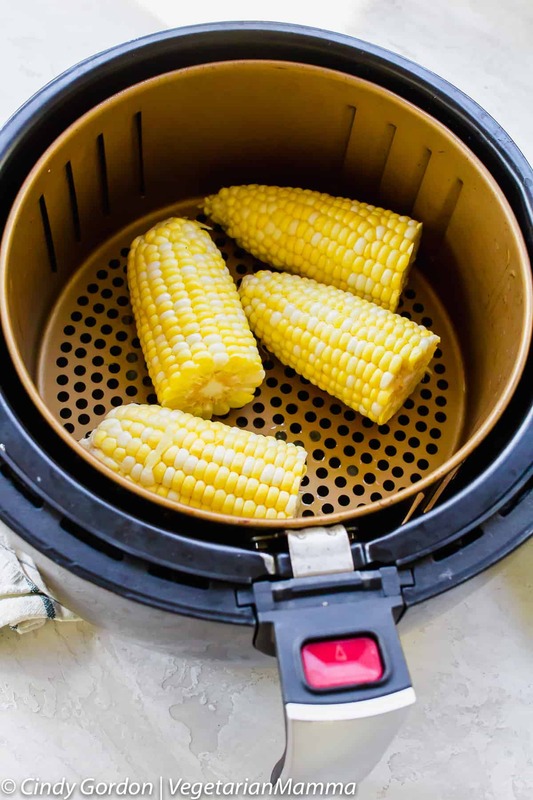 It’s amazing all the things you can do in an air fryer! 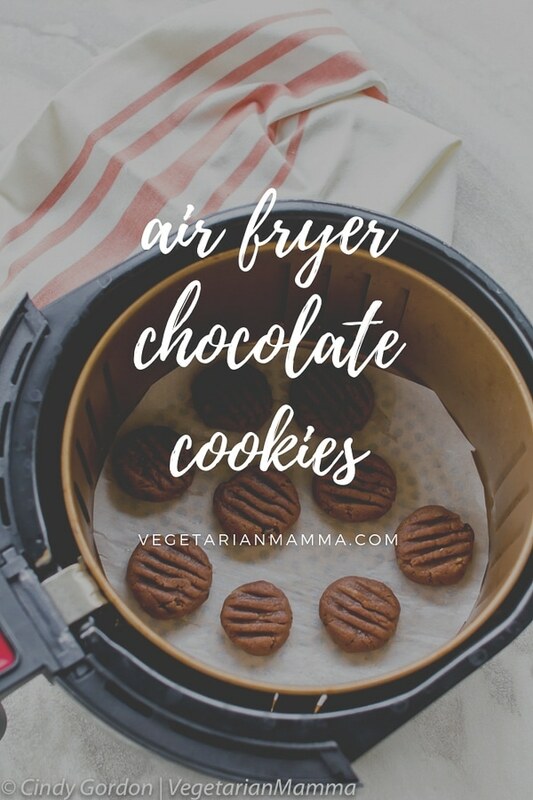 Cookies in an air fryer sounds too good! And they’re gluten free! Yes, it is crazy all the cool stuff you can do! Its been fun to experiment with it! 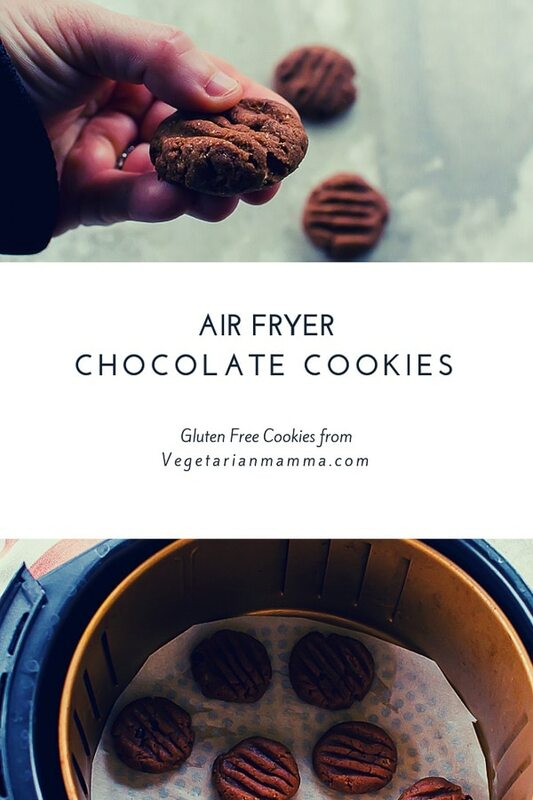 I didn’t know you can cook cookies in an air fryer! Now I am convinced that I should own one. This looks so good! My mom has an Air Fryer. I’ll have to tell her about this recipe. She probably has no idea that you can make cookies in it! I know right!? 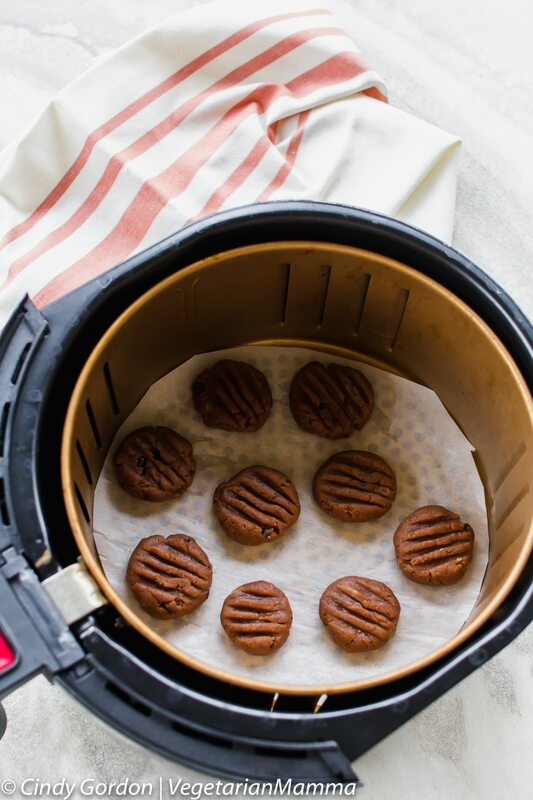 So crazy that an air fryer can make cookies! So fun! 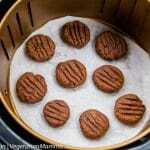 Wow, I had no idea that there were cookie recipes that could be made with an air fryer. wow I had no idea you can do this with an air fryer?? I thought it was just for things like chips, how wrong I was! I am so going to look into getting one! I do not have an air fryer but I definitely would love to have one. These cookies look like they would be so amazing! 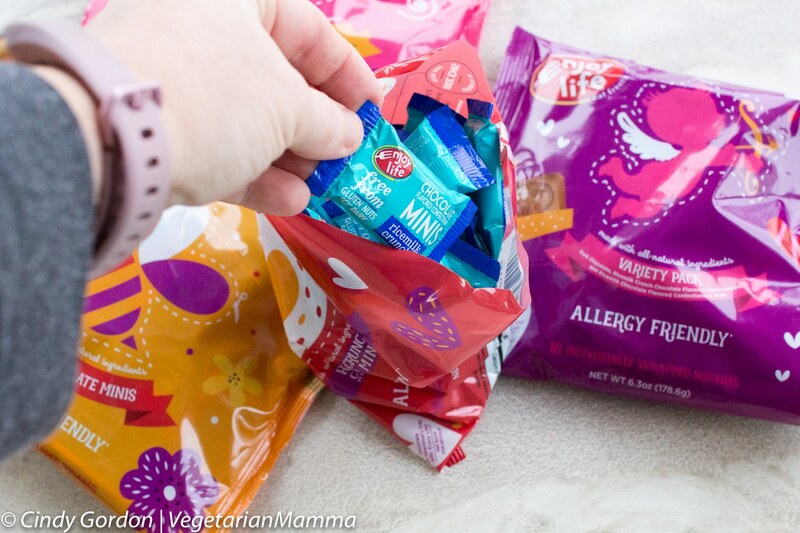 They are a great sweet treat! 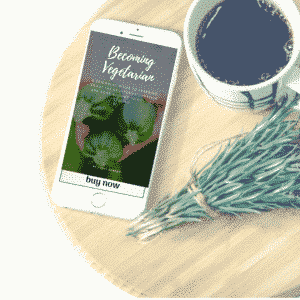 Yes, there are so many recipes you can make with them! I have an air fryer, but so far I’ve only used it twice. I never would have thought of making cookies in it, but I love the idea! Such a fun idea, isn’t it? 🙂 Enjoy!